Simply fill out this form and click submit. You can mail a check for payment, or pay online via PayPal. Once payment is received and this form is filled out, you will be all set! Friday, May 17 - 5pm - 11pm Saturday, May 18 - 9am - 9pm Both Friday and Saturday! 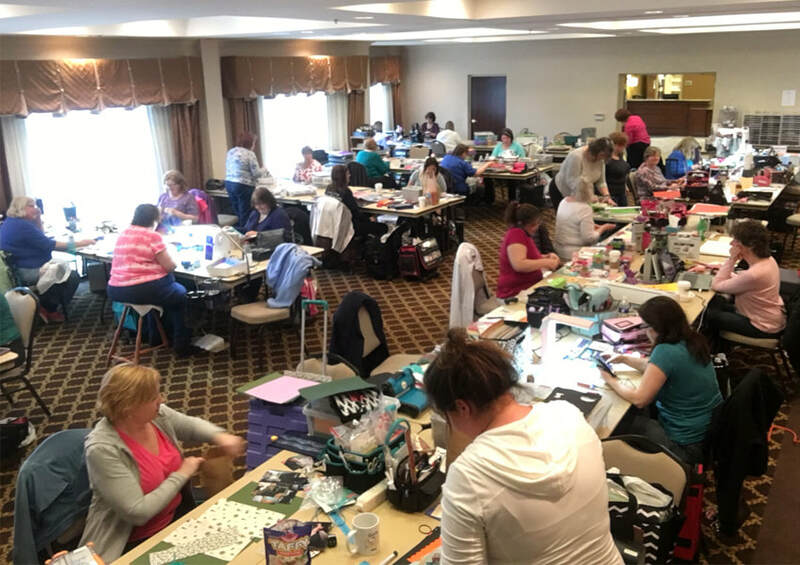 Checks can be made out to Scrapbook Creations Retreats and mailed to PO Box 1171, Penfield, NY 14526. The button to pay online via PayPal is on the All Day Events page at www.scrapbookcreationsny.com. Due to how fast this event fills up, I strongly encourage you to pay online via PayPal. If you have to cancel, there will be a $10 administrative fee through May 3, 2019. After that, no refunds but you can get someone to take your place at the same seat. Neither the Holiday Inn Express nor Scrapbook Creations, LLC are responsible for lost or stolen items. I have read and acknowledge the above policies. I can be reached via e-mail, phone call, or text (585-509-0276) if you have any questions.